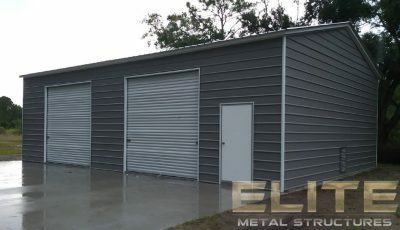 Roof Pitch - Elite Metal Structures - How Steep Should My Roof Be? The primary purpose of pitching a roof is to redirect water and snow. Thus, pitch is typically greater in areas of high rain or snowfall. 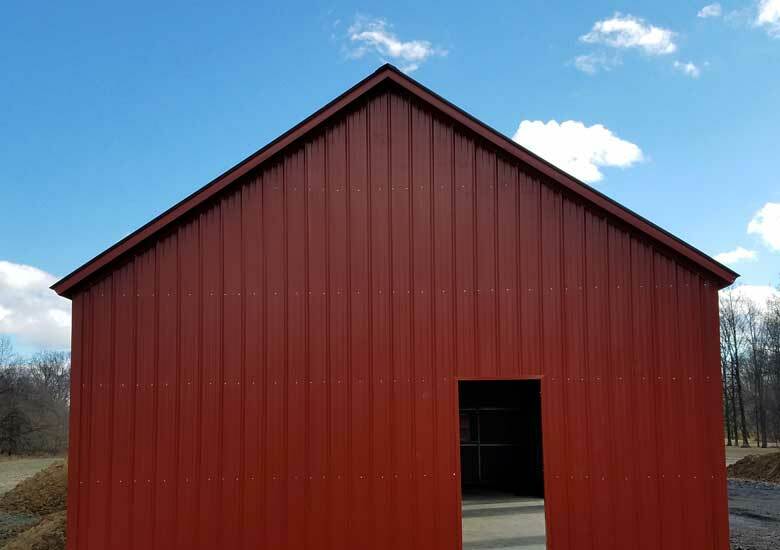 There are advantages and disadvantages to both higher-pitched and lower-pitched roofs, which both impact the performance of the building as well as the structure’s cosmetic appearance. Higher-pitched buildings tend to blend in more with surrounding residential and office buildings. Higher pitched buildings also increase the maximum clearance of your building creating more interior space. 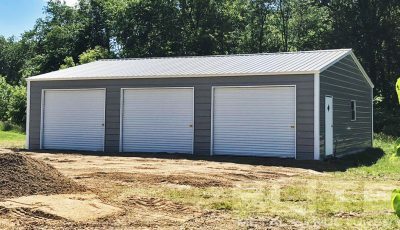 For owners who are looking for additional storage in the eaves of their building a higher-pitched roof is an excellent choice. If your building will exist in a warmer climate, or will not have air conditioning, a higher sloping roof helps disperse heat within the building, helping keep temperatures low. A lower-pitched roof is great for owners who do not need high clearance, or additional space up high. A roof that is less steep will decrease the total interior cubic footage, making it faster and more cost effective to heat and cool your building. Low-pitched roofs are often less visible to those on the ground and surrounding buildings, decreasing the need for expensive paint finishes on you building’s roof. 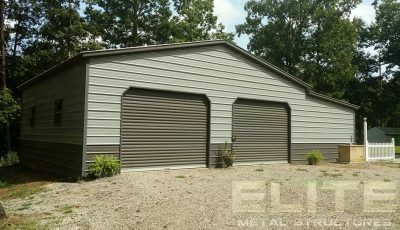 For most metal building manufacturers 3:12 or 3 pitch is the standard roof pitch. 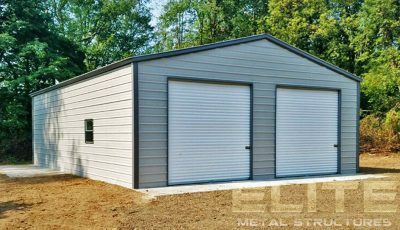 The professionals at Elite Metal Structures will discuss with you options like steep pitch, multi-pitch, or single pitch. 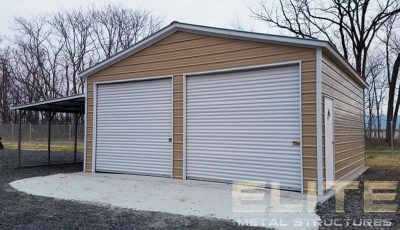 Depending on your application and aesthetic we can customize your building in whatever way you wish.